What Happens if We Remove the Dental Height? When we raise the dental height in the premolar and molar areas there is a shift of the fulcrum from this area to the incisor and cuspid area. (see picture 31). With the passage of time the skull rotates clockwise around the fulcrum. 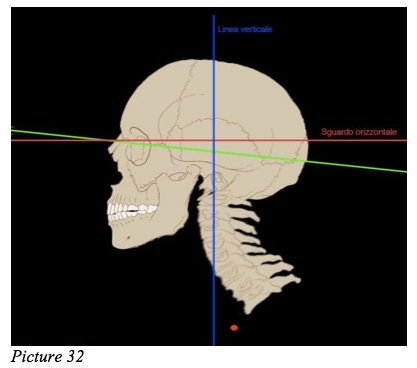 (Picture 32 compared to picture 29) The rotation causes a change in the inclination of the skull in relation to the horizontal and vertical axes and to the jaw. Thus the skull sinks, until it finds an occlusal contact that supports it, as explained by the principle of action-reaction. In other terms, the skull sinks until the pressure of the point of contact of the teeth moves from the incisor area to the premolar and molar area. In fact, the premolars and molars exert the force (so-called “reaction force”) that, during occlusion, opposes the skull. 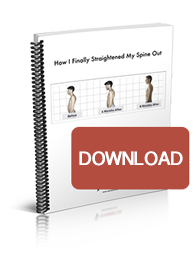 Now it can be easily grasped how a lack of dental height alters the posture irremediably. The decline of the posture of the skull can be observed in picture 32, which, in regard to d1, shows a head that has sunken considerably. With the decline of the skull, as illustrated in picture 32, the premolar and molar teeth, whether on the upper dental arch or the lower, find a new occlusal contact. This impedes the skull from sinking further, as it finds an adequate support. In practice, the premolars and molars, in this stage of decline of the skull, finally succeed in halting the sinking, opposing with a force of equal intensity, and from the opposite direction. This phenomenon can be observed due to the fact that as it sinks the skull changes its inclination in respect to the jaw. 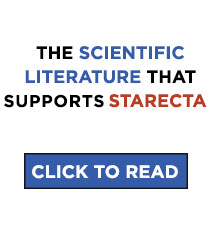 Such an inclination inevitably alters the direction of the gaze. 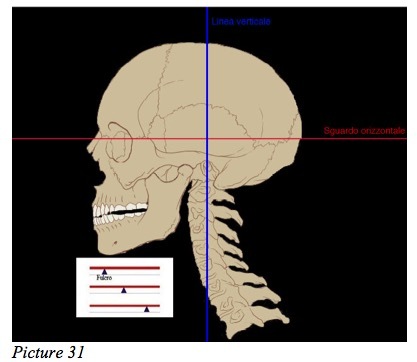 As well, in such a condition, the skull relentlessly compresses the spine, reducing the intervertebral disc space and aggravating the physiological curvature of the spine (cervical lordosis, thoracic kyphosis, lumbar lordosis).